Get access to your stuff any time, any day at our Teddington storage. Our modern, clean CCTV-protected units are available 24/7, 7 days a week. Long stay discounts available, with the same flexibility and access as short term self-storage. If you’re between properties, going travelling or need to make room for decorating or renovation works, our Tedding storage units offer security and peace of mind at a sensible price. 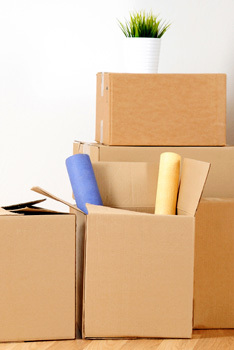 The Kiwi Movers team are experts in storage, removals and logistics. Self storage offers flexibility and convenience and means you only pay for what you use. Come and go as you please. Our Teddington self-storage units are easily accessed by road, ideal for the outskirts of London, Surrey and Middlesex. Longer term storage solutions come with decent discounts. You still get the same level of flexibility if you need it, but at a lower rate. Choose from bulk containerised storage, warehousing or long term self-store options – all within our secure, clean and dry Teddington Storage units. Teddington is not inside the London Congestion Zone. You can make unlimited trips by car or van to your storage unit without paying the London Congestion Charge. It’s important to note however, that Teddington is built like a smallish village. There are no dual carriageways into Teddington, so if you’re taking stuff to your storage unit at peak traffic time, allow a bit of extra time for your journey. Make a list of everything you put into storage. Your stuff is safe while in storage, but it’s easy to forget where things are. Save yourself the hassle of searching high and low for that socket wrench only to discover it’s actually packed safely away at your storage unit in Teddington. Take snaps of everything. This is a quick alternative to measuring everything before storing it, albeit not quite as accurately. 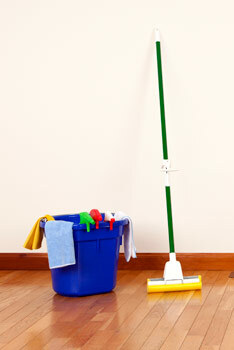 If you’re viewing a new property, you can use the pictures of your larger items to plan where you need to put things. Be smart with your packing. Overdoing it on the packing front adds needless weight and bulk, increasing your storage and transport costs. Under-doing it puts your stuff at risk of damage. Consolidate items where possible. The rule to follow here is simple; never pay to store fresh air. Empty cases, half-full toolboxes, multiple half tins of the same paint, these can all be consolidated. Get rid of perishables. Obviously food can’t be put into storage, but there are other perishables that people may overlook. Gardening products, fragrances and paints can all go off. If you’ve got gardening products, remember there are plenty of allotments and growers cooperatives in and around Teddington. Consider donating to these, rather than storing them in your unit. Get rid of stuff and replace it later. Sometimes it’s just cheaper to replace things in the future than to store them. We’re not saying you should be wasteful, but keeping a case full of old gym gear in storage for a year could work out more expensive than donating it to charity now and buying replacements later. There are a number of charity shops in Teddington that would welcome your donations. Fara Kids is at 119 High Street, Teddington. Shooting Star Trace is at 11 Broad Street, Teddington. Fara Brooks is at 34 Broad Street, Teddington.